The Syrian actor Nidal Sejari passed away on Thursday at 48 years of age after a long struggle with laryngeal (throat) cancer. 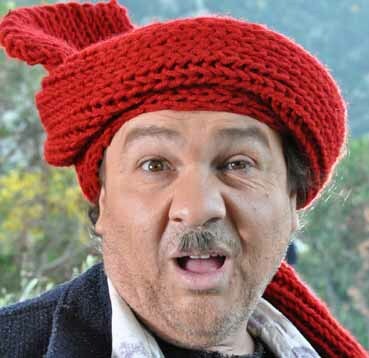 The ‘Arab Charlie Chaplin’ was known for several comedy television series (Dey3a Day3a) and theatrical plays, as well as for his work as a director of a film that tackled the way of life of the Palestinian and Syrian refugees. During the Syrian conflict, Sejari adopted moderate and consensual stances, and supported coexistence and openness. Sejari was born in the Syrian city of Lattakia in May 1965. He graduated from the High Institution of Arts in Damascus. He leaves behind a widow and two sons. BeirutNighLife.com would like to extend its condolences to the family of the renowned actor.